Pale yellow straw color. Aromas of ripe peach, honeydew melon, graham cracker, and white miso with a velvety, crisp, dry-yet-fruity light-to-medium body and an effortless, amusing, medium-length lemon sorbet and wildflowers finish with fine tannins and no oak flavor. A deliciously balanced white Cotes-du-Rhone for beautiful pairings. Bottom Line: A deliciously balanced white Cotes-du-Rhone for beautiful pairings. Much like thier red siblings, Côtes-du-Rhône whites are a great value, with many wines at or under $20 to be found. They must be made from at least 80% of the allowed Rhone white grapes: Clairette, Grenache blanc, Marsanne, Roussanne, Bourboulenc, and Viognier and make ideal summer quaffers. 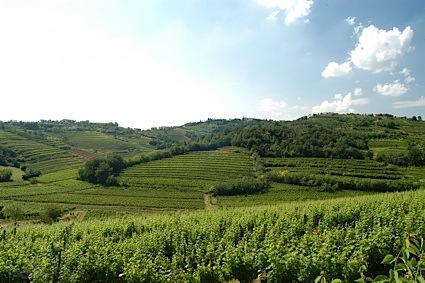 White wines from this area can vary enormously in quality and typicity from thin and watery to juicy and ripe. The best producers, however, will make wines that are rich and ripe. Côtes-du-Rhône is almost always drinkable upon release and requires no further cellaring. 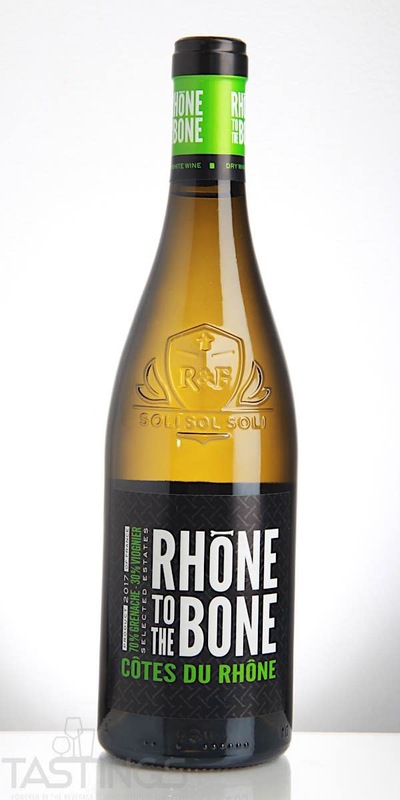 Rhône to the Bone 2017 White, Côtes-du-Rhône Blanc rating was calculated by tastings.com to be 88 points out of 100 on 7/6/2018. Please note that MSRP may have changed since the date of our review.